The Double Door Towel Warmer has a rust-proof aluminum interior that maintains an internal temperature of 158-176 degrees Fahrenheit. 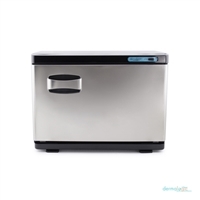 The warmer comes with 2 shelves and a condensation collector tray to remove excess moisture. 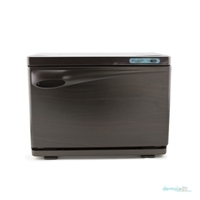 The large capacity bins hold washcloths or hand towels and are great for any salon or spa. The Single Door Towel Warmer has a rust-proof aluminum interior that maintains an internal temperature of 158-176 degrees Fahrenheit. 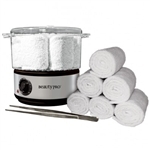 The warmer comes with 2 shelves and a condensation collector tray to remove excess moisture. The silicon door seal is ideal for heat retention and quiet operation.